The official release date is given as August 1985 but other sources suggest it didn't come out until after February 1986. A compilation of garage and weird sounds undoubtedly inspired by the landmark "Rockabilly Psychosis and The Garage Disease" compilation released by Big Beat in 1984. Some of the names are undoubtedly pseudonyms and I've yet to learn who was really behind Otis and The Intellectuals or the other unknowns listed (I'm especially curious to know more about The Lower Pool -- see the Help Needed section for more details). 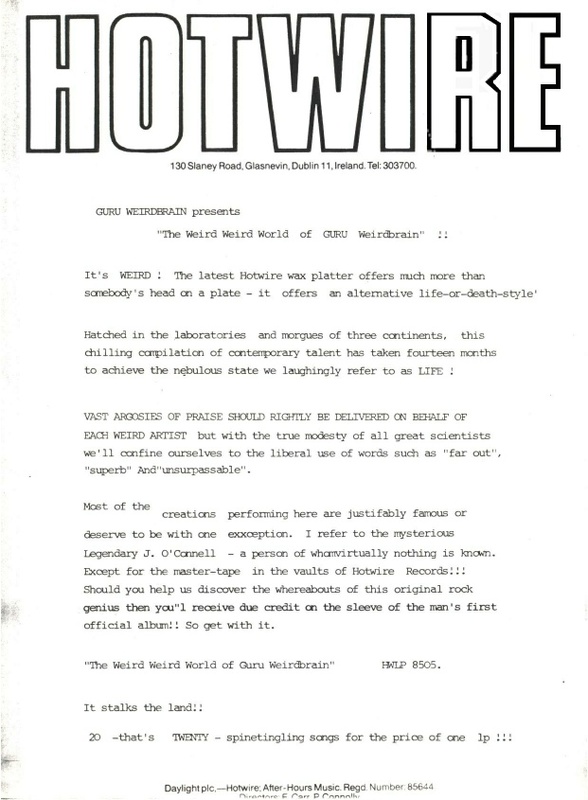 Possible Golden Horde and/or Eamon Carr involvement in these bands cannot be ruled out. 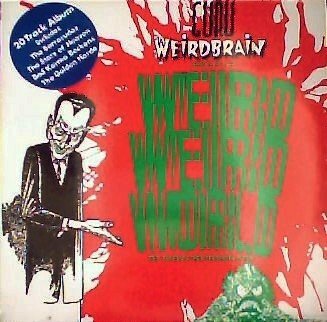 Eamon Carr was Guru Weirdbrain himself, the compiler of the compilation. Plans to license to Rough Trade fell through, alas, and the LP is becoming hard to find. Was there a cassette edition with more tracks?